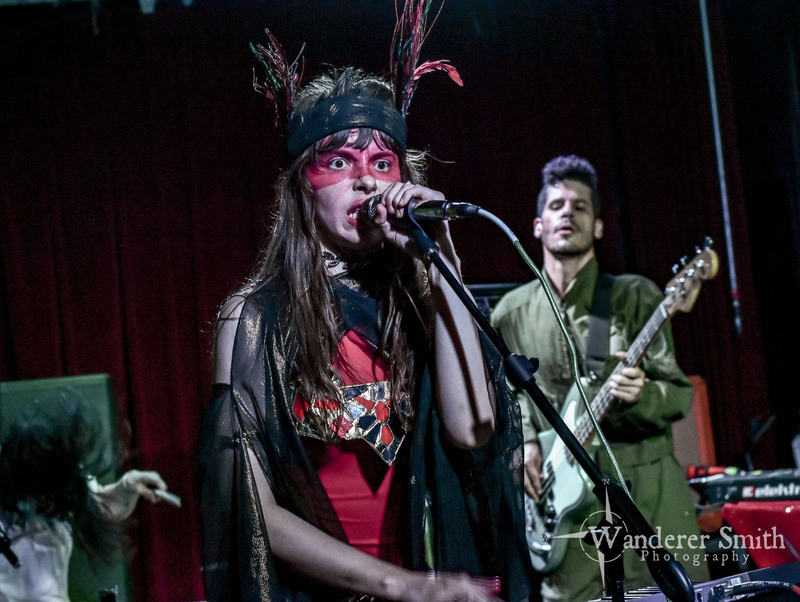 Le Butcherettes have played Dallas four times in the last three years. On each occasion they were a supporting act, opening for either the Melvin’s or At the Drive-In – or playing a short set as part of Dallas’ post-SXSW festival Spillover. Finally, the band returned to town on a headlining date. What was the final date of a recent tour that saw them mixing headlining shows between dates opening of the Flaming Lips, the band swung into Club Dada firing on all cylinders. Joined by Riko Rodríguez-López on guitars, keys, synths, Alejandra Robles on drums, and their latest addition, Marfred Rodríguez-López (Zechs Marquise) on bass, the band seemed particularly inspired. Which is saying a lot if you’ve ever seen the band live in the past. Front woman Teri Gender Bender is a force of nature. Completely uninhibited and unhinged, she can hold any audience captive. But, there was something about this set that was a step above their previous appearances in Dallas. Having toured nearly non-stop in the last few years, this nights set was special as it featured new songs and deeper cuts the band has rarely performed live. Earlier this year the band released the single “spider/WAVES” and the EP “struggle/STRUGGLE.” Both songs fit perfectly among the rest of their set, but were flung at the crowd at full-force, daring anyone to stand still and be unmoved by their energy. Likewise, cuts from A Raw Youth, Cry is for Flies, and Sin Sin Sin, had everyone moving. “Dress Off,” “La Uva,” and a cover of Miley Cyrus’ “Wrecking Ball” bled with a feral abandon. The addition of Marfred Rodríguez-López opens the band up a little, giving each musician more depth within the mix. Alejandra Robles is a total badass behind the drums, fiercely bashing away at her kit with a subtle finesse that can go unnoticed to the untrained ear. Of course, Riko Rodríguez-López is always fun to watch as he is either switching between instruments or playing more than one instrument at once. It’s a challenge to think of another band who can match great sounds with an equally intense and passionate performance. That’s what makes Le Butcherettes such a great band. Club Dada may have only been half full, but those who were there were in the know. You don’t miss the band when they come to town, especially headlining. Luckily for you losers who stayed home on a school night, the band returns to Dallas supporting Death From Above on November 11th at Gas Monkey Bar n’ Grill. If you don’t go, don’t even talk to me.